The Bell Hotel Epping was originally a 16th century Coaching Inn, set in extensive lush green grounds.The hotel is ideal for visiting London, but lets you escape the hustle and bustle after a hard days sightseeing. Experience a serene, old world retreat from the bustling city life in the picturesque modern hotel. 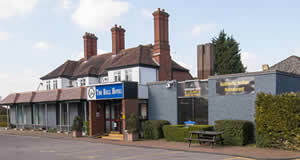 A convenient gateway venue with plenty of spacious free car parking, The Bell Hotel also offers wonderful amenities and hospitality for a relaxing stay, with convenient access to the area's tourist, industrial and commercial centres. 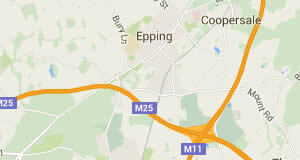 The newly built Olympic Stadium and Westfield Shopping Center in East London is just 15 minutes drive from us too! While enjoying the natural beauty of Epping Forest and its country side yet very close to Central London which is easy reach via the Underground Tube Station Epping, which is approximately 1 mile away from us so you get the best of every world! We are also close to EXCEL Exhibition Centre in London. Experience our hospitality firsthand. 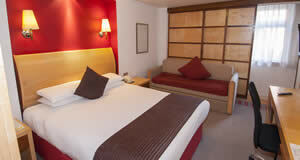 The Bell Hotel, Epping has 79 spacious bed rooms which are tastefully decorated to the highest standards. Whether you are a leisure or business guest, all of our 79 bedrooms create a 'home away from home' feeling. Each of our 79 Spacious bed rooms are generous, specially the superior rooms, which are combined with the finest modern materials to give you maximum comfort. Our guest will enjoy a free car park and free Wifi. Our restaurant, The Nirvana offers creative cuisine complemented by a specially selected wine list. Open every morning for breakfast, it serves a variety of snack menus throughout the hotel's public areas.